Towing recoveries require special equipment. 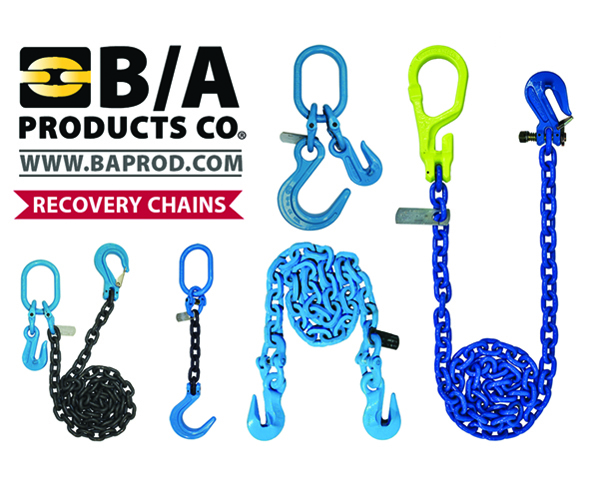 The chains and hooks above are just some of the many styles available from your B/A distributor. Available in any size or grade. Contact your B/A Products distributor for custom designs. We sell through distributors worldwide. For more information call 800-327-3301 or visit www.baprod.com.